Organizations are gazing into the crystal ball and grilling their asset managers to determine where their respective industries are heading. Does this seem like a far-fetched notion to you? Well, it shouldn’t. Given that the cornerstone of any successful fixed asset management process is a well-developed plan for inventory management, it stands to reason that organizations make informative and reliable profit-based predictions based on the manner in which they utilize their fixed and mobile assets. Internal insight is key – organizations must maintain a comprehensive and working knowledge of both their asset inventory and employee accountability. From this fundamental platform potential problems can be remedied and future business processes can be predicted. Such is this case in the asset management industry itself. 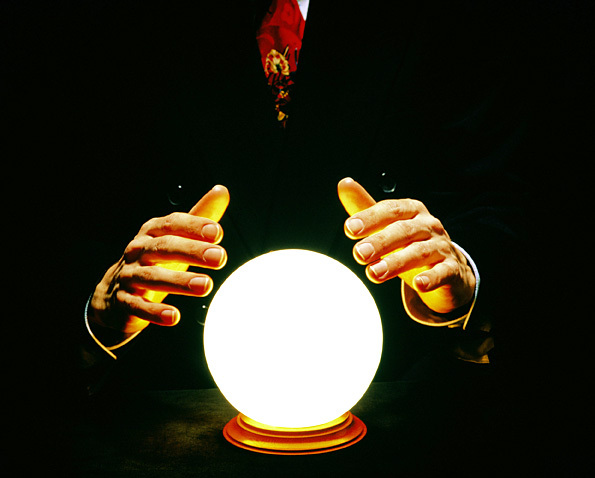 The latest prediction has been levied by Hymans Robertson, an investment consultant firm that believes polarization in the asset management industry will continue to increase in 2011. According to its annual survey of UK fund managers, Hymans Robertson assumes that bigger asset-management firms will get larger, while smaller ones will reduce in numbers. Larger organizations keen to plug any product gaps will be looking out for smaller, more vulnerable boutiques to snap up, particularly the weaker ones. But once taken over, maintaining independence inside a bigger group is going to be difficult. There is irony at the basis of these assumptions. The smaller, less competitive boutique asset-management firms are failing to maximize the productivity of their resources. The inability to capitalize on their fixed, mobile and even human assets has rendered these smaller companies critically vulnerable. The analogy translates across industries. Opinions on the future of asset management vary hugely, but Hymans Robertson is not alone in its expectations of polarization. Nearly three quarters of over 200 global asset managers surveyed by Create Research expect the sector to become more polarized with large players dominating the scene. These large houses are expected to develop multi-asset class businesses by setting up in-house product based boutiques that will compete with smaller and more independent peers. This scenario is likely to be one of many contributing to a post-financial crisis landscape says Create Research but the final outcomes will depend on the quality of moves made by asset managers in the next year or so. The take home point, both for boutique asset management firms – and in that case, small businesses across all industries – is that an in-house asset-management process can only be an effective medium towards achieving high profit margins if inventory data is soundly accounted for. As previously mentioned the cornerstone of any successful fixed asset management process is a well-developed plan for inventory management. The key to success for businesses of any size is to maintain a constantly evolving range of data detailing the organization’s resource capacity. Organizations must revisit their approach to asset management and it starts with the reliable collection and representation of inventory data.